It started raining shortly after I returned to the hotel last night. It continued all night and through most of the day. Luckily, today my plan was for an indoor activity. I just had to brave the rain to get to that activity. 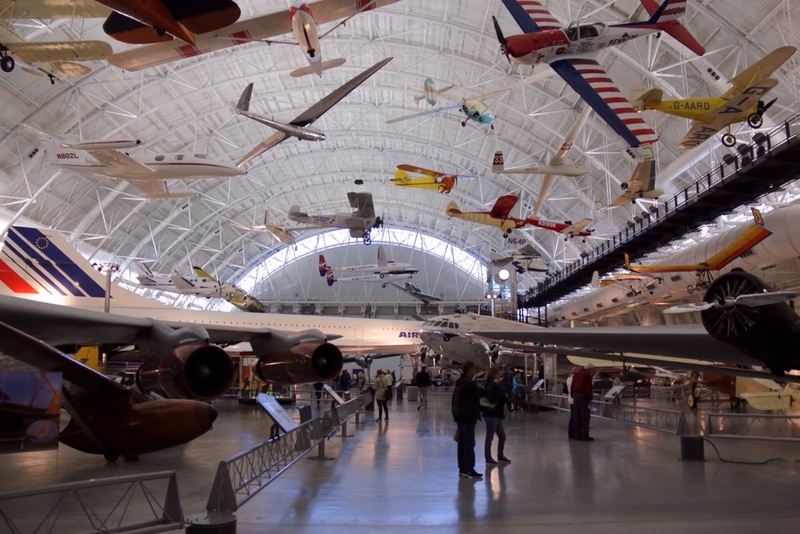 The Udar-Hazy Centre is part of the Air and Space Museum. It's located at the edge of the Washington Dulles International Airport. That's the airport I arrived at on Monday and it's a fair way out of downtown Washington. So the first challenge was to find out how to get there. Luckily they provided that information at the museum I visited yesterday. It would involve a train trip and a connecting bus. After assessing the options I decided to get a SmartTrip card which is like Oyster in London or the new MetroCard in Adelaide. It would just make the trip simpler. The metro station was only a couple of blocks away but it was raining constantly. When I got there I found a machine to dispense SmartTrip cards but it didn't accept $20 notes which were all I had. For some reason it wouldn't accept my MasterCard or Travel Card either. Oh well, I was craving a coffee so I left the station to find some coffee and break the $20. Silver lining moment? I returned to the station a bit later armed with two $5 notes and, after some user error moments, I soon had my card. The rest of the trip went smoothly, but it did take nearly 2 hours. I knew what the draw cards of the museum were for me were. This museum was my reason for visiting Washington in the first place. I THOUGHT I knew what to expect. But when I walked in to this view (which is only part of the museum) I nearly wet myself with excitement! I spent hours wandering around the various exhibits. There was too much to describe here in detail but I'd like to share some highlights. And they're highlights for a variety of reasons. 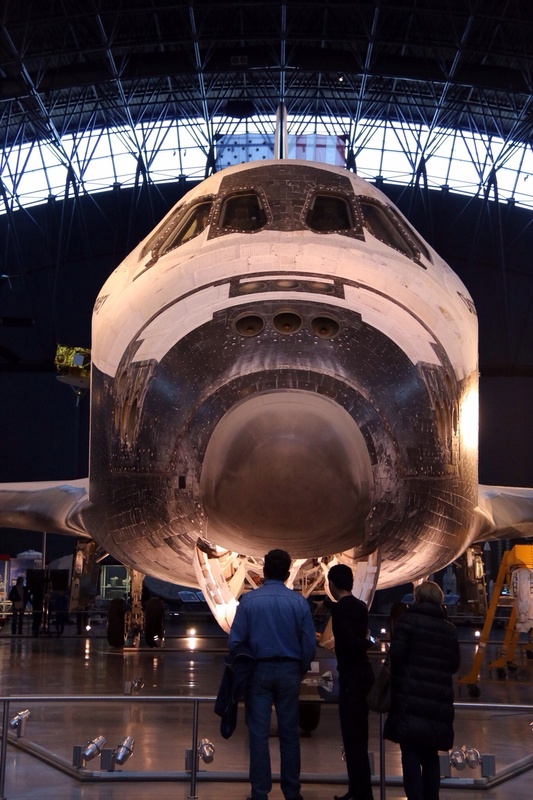 In the space section was the space shuttle Discovery! Amazing! I still remember being glued to my TV as a kid when the very first shuttle lifted off. Now I was seeing one "in the flesh" . 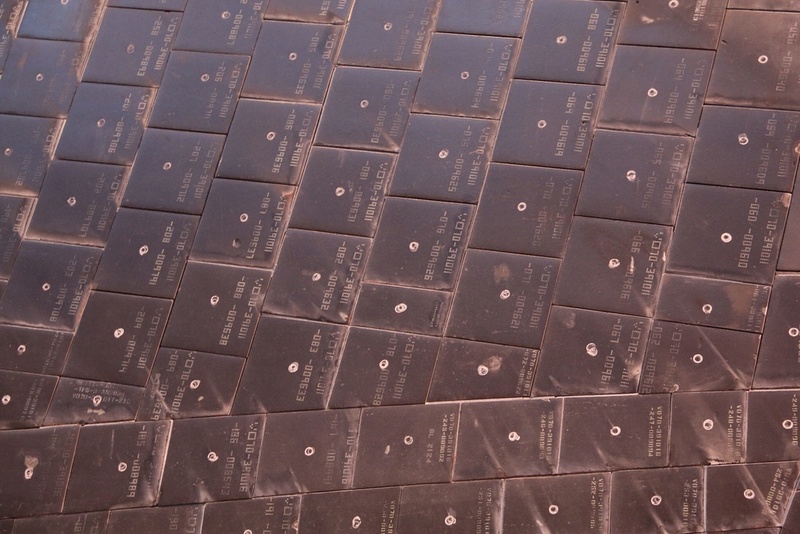 I had to get a close up of some of the tiles on the underside. You can see how they're individually numbered. 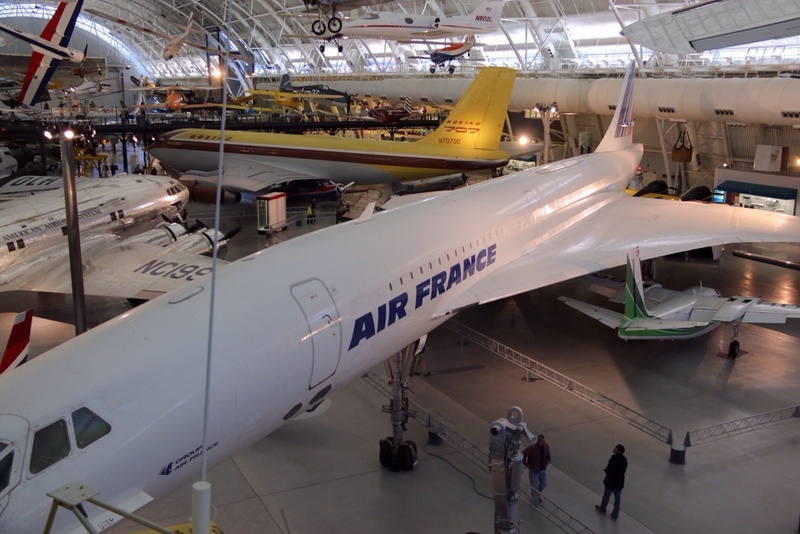 Another highlight was seeing a Concorde. And a more sobering, but still significant highlight was seeing this plane - the Enola Gay. This was the actual plane that dropped the first atomic bomb on Hiroshima. It was chilling listening to the guide speak about it. But he also spoke about the B-29 itself: some of the stories behind its development and innovations that we now take for granted in our planes. There wasn't a discussion about the morality behind the use of the atomic bomb, just an account of what happened. Then this plane got my attention. 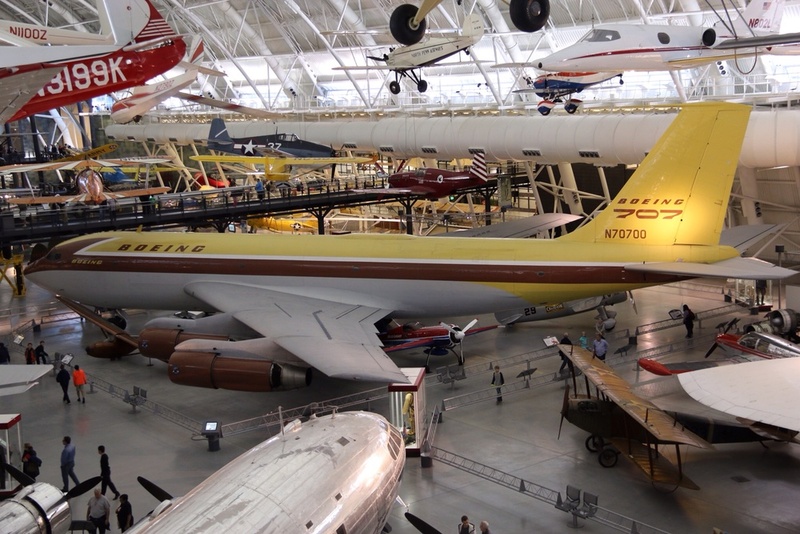 Although this particular one was only a prototype for the 707, the moment was still significant because my family flew in a 707 when we emigrated from the UK in 1969. I can remember many things about the plane and the trip, including getting to visit the cockpit at the same time as we were being escorted by US fighter jets somewhere near Vietnam. There was a Gemini space capsule that made me realise just how cramped the interior was, and just how scary it must have been to fly through space in that tiny tin can. Speaking of cramped, this is another way to fly. But you'll never get me in one! 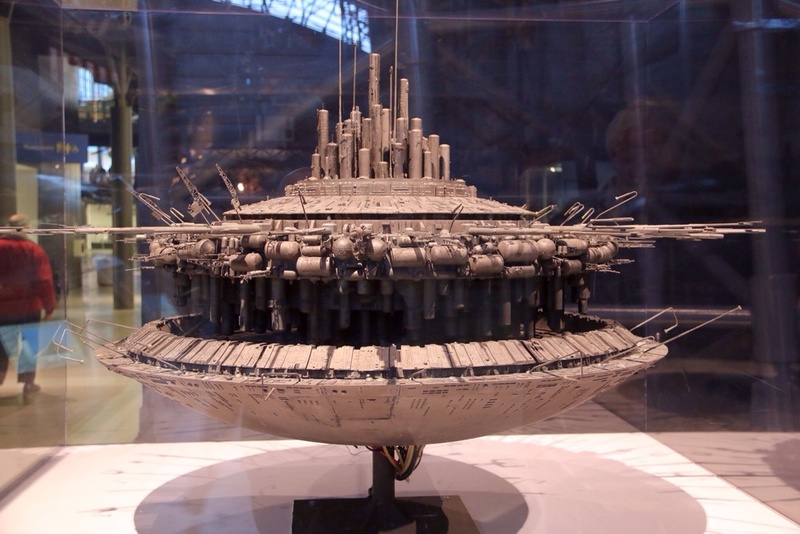 And for something completely different there was the actual model of the mother ship used in filming Close Encounters of the Third Kind. The last part was a visit to an observation desk where you could see Washingron Dulles airport, the runways and flights landing. Then the reverse trip home. A great day. And a great trip. I wish I had another full day in Washington DC. But I do still have tomorrow morning, so I'm hopefully going to get a chance to visit one of the art galleries before my train trip to NYC.